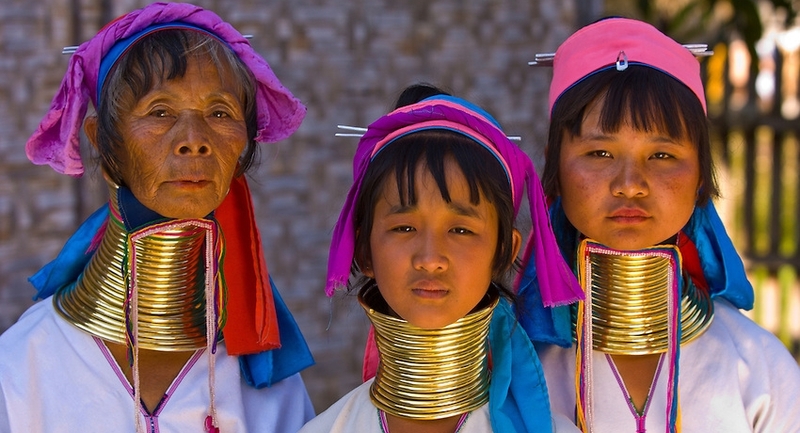 Our Planet Earth is full of Weird and Strange Cultures. Every Country has its own customs and traditions which depict the Manner of thinking and way of Living of the citizens. You will be really Surprised by these Rarely Known Cultures, which still Exist in this Modern Era. 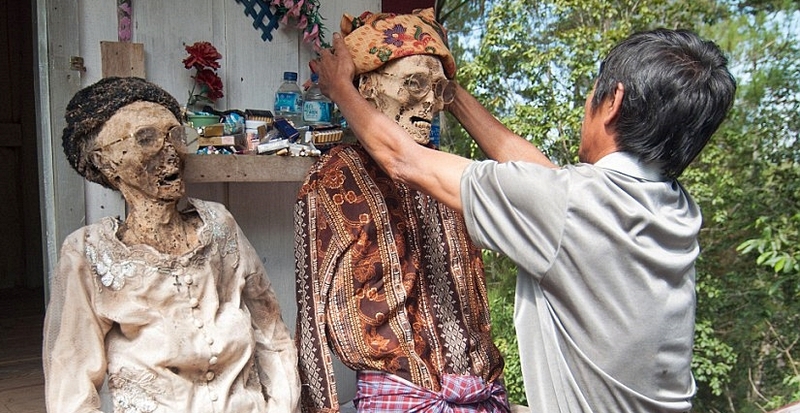 Following are the Most Weird Cultures around the World. This tradition is practiced in Thailand and African tribes. According to this Culture, Brass Rings are coiled around the neck of women since 2 years of age. It gradually Elongates the Neck. In these tribes, it is considered as a sign of Beauty. However many people consider it as an insane Fashion which must be prohibited. If you want to visit Thailand, the best time would be during Vegetarian Festival that is celebrated in Phuket Town. In this strange culture, people walk around the town with many needles, swords or knives pierced in their whole body. According to them, god appeared in these people and prevent them from evil and Bad Luck. 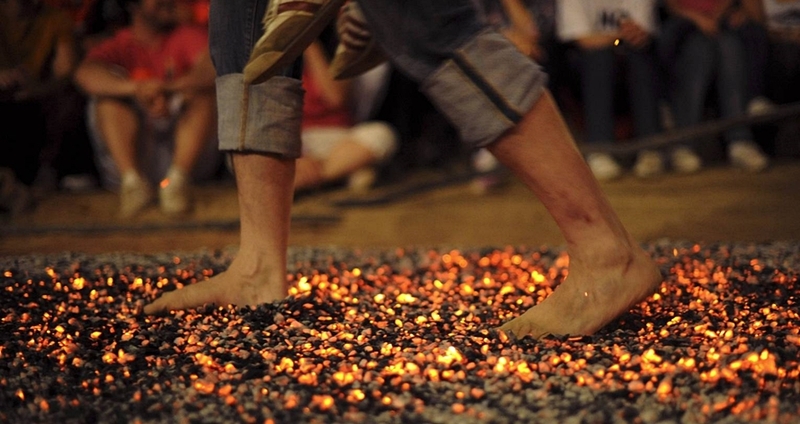 In some parts of China, a very Painful Marriage Ritual is performed, in which a husband has to walk on Burning Coals carrying his wife when they enter house for the first time. This strange culture is a way of showing support and ease to the wives during Labor. Marriage must be an act of bravery in China for men because of this odd culture. This is one of the Most Weird Cultures around the World. Some Indonesian people have a very Scary culture in which they keep the dead bodies of their loved ones at home instead of disposing them. It sounds so frightening but these people Live with the dead bodies until Traditional Funeral Ceremony is finished. It is a joyous yet weird culture practiced in UK and Canada. 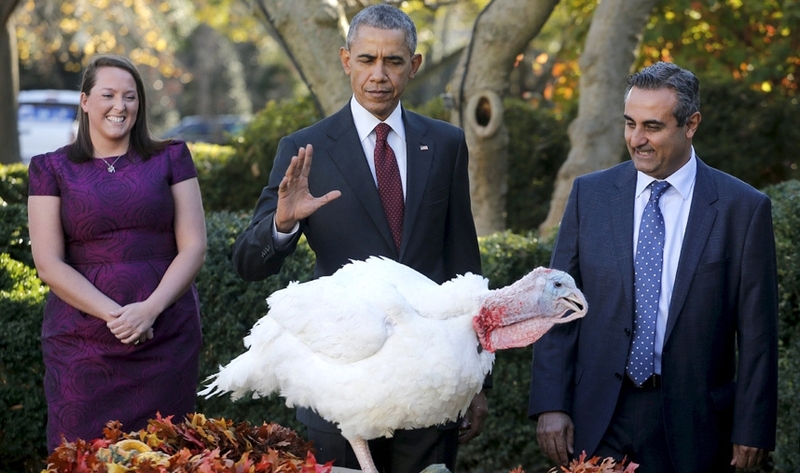 In Thanksgiving, an alive Turkey is presented in front of President for the act of pardon by National Turkey Foundation (NTF). Main reason behind this strange custom is to thank God for the blessings and benefit of harvest. 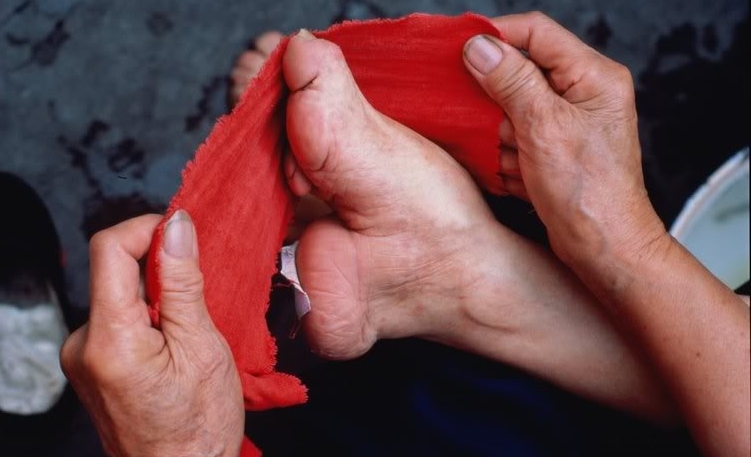 One of the most painful and Weird cultures around the World, is the Foot Binding in China. In this painful tradition, feet of young girls are wrapped in tight bandages and it is done by breaking their bones. Such feet are called Lotus Feet and it is a symbol of beauty for women. This insane ritual is now prohibited in China because it can cause sepsis and paralyze the girl forever. 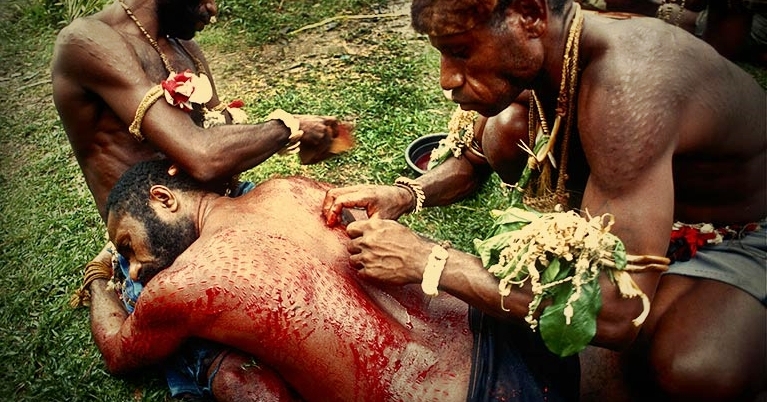 A tribe in Papua New Guinea named Kaningara has a very special way of showing their Strength. The young men scarify their bodies like that of Crocodile to show their Courage and Valor. According to them, humans have evolved from Crocodiles and by making marks on body, they become close to Nature. 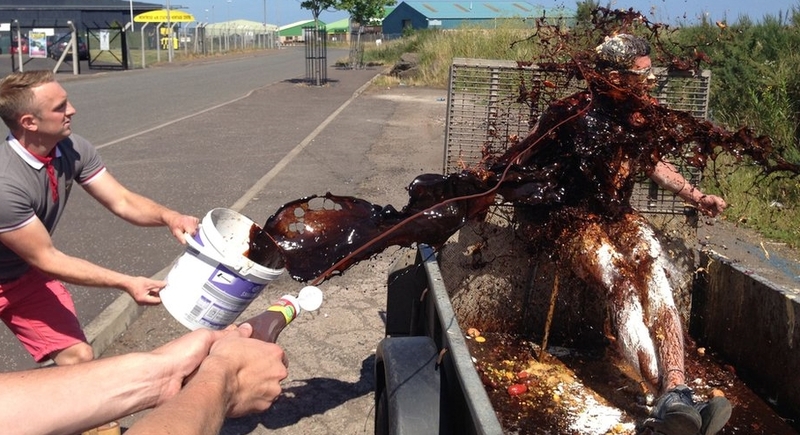 This is a very joyful and funny tradition in Scotland in which bride is surrounded by her friends before her wedding and all ugly things are thrown at her like soot,eggs, paints etc. When she is fully covered with such things, she is then paraded around town that is very humiliating. Reason behind this is to prepare her for upcoming Marital Problems. Sati is another strange and odd cultural practice in India. 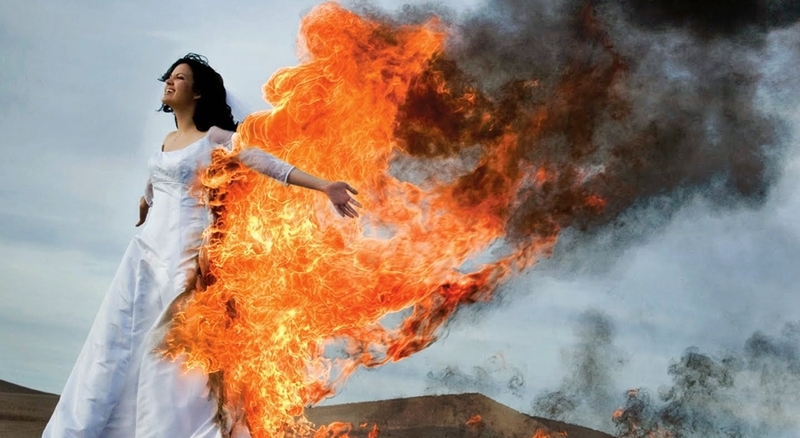 It is in fact a Violation of Women’ Rights because in this custom, a widow is burned alive on her husband’s funeral pyre. She has to follow it in order to show her love and loyalty to her husband. In today’s age of feminism, it is against humanity to force a woman to commit suicide to show her devotion and loyalty. Fortunately this custom is now banned by the Indian Government, but still some cases are reported every Year. There are countless Cultures all over the World. Some of them are really Interesting once you explore them. You will get to know strange stories and reasons behind such Customs and Cultures. We presented few of the Most Weird Cultures around the World. If you know some more, Do share them with us. 1.The Calabar people of the southern part of Nigeria put “brides to be” in a fattening room before they are married off. 2. The male Fulani people of Northern part of Nigeria get beatings on their chest and the last man standing gets the bride. Although most of these cultures are only remotely practised now. DAEWOO Express Bus Service -Preferable over local transport?